The Da - my father, 3rd June 2011. 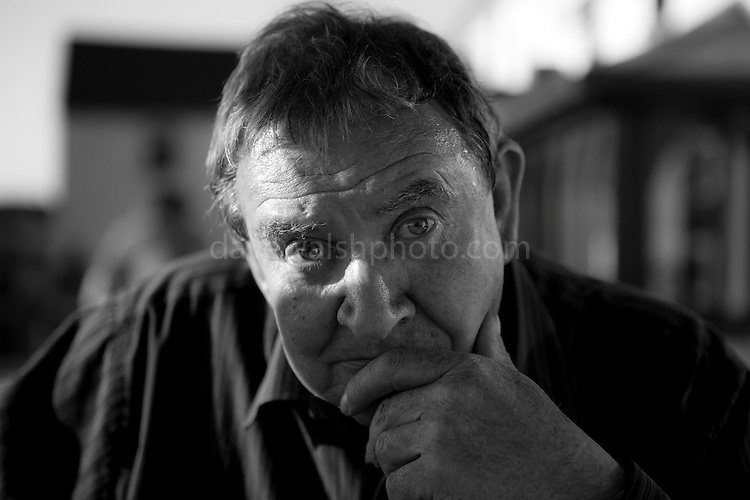 My father, Jim Walsh, photographed in 2010. He passed away due to complications from Dementia, in the closing days of 2017. In this photo, he had already started suffering, and even though he makes direct, piercing contact with the camera - and the photographer, there was already something wrong. This bravado was a mask for his sense of things slipping away, that he wasn't as sure of himself anymore, and was often confused. A few months later, he got himself lost in his car on a dark night in the countryside. I spent hours searching, and eventually finding him.